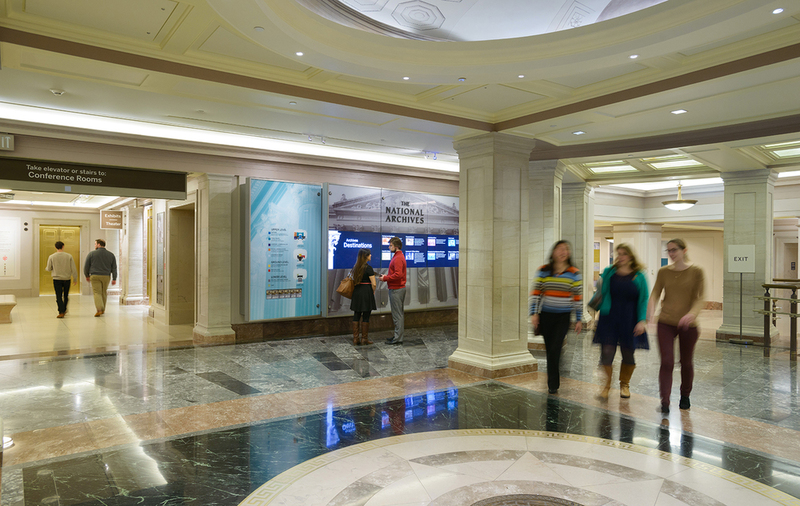 The "National Archives Experience" is the name given for the public programs and exhibit components of the National Archives Building in downtown Washington, DC. 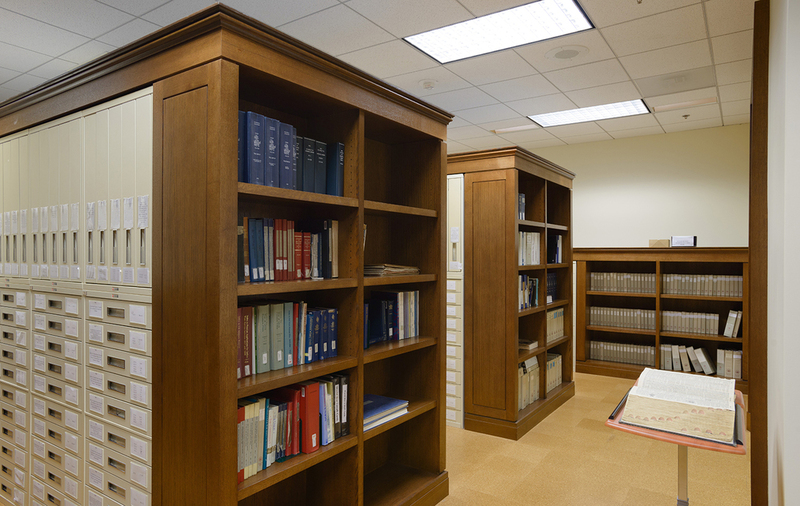 The "Phase II" project responds to a variety of competing programmatic challenges all vying for space on the ground floor, the genesis of which includes enhanced security measures at the Constitution Avenue entrance along with a series of technological upgrades to the Robert M. Warner Research Center. 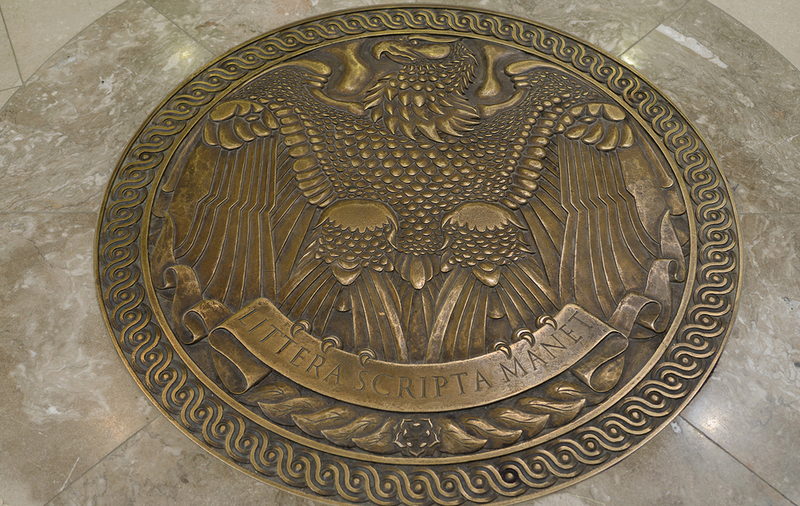 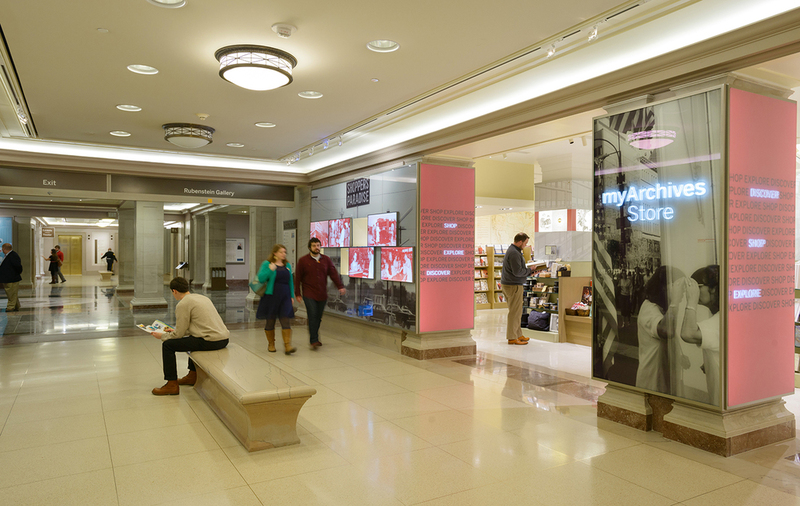 In conjunction with the alterations to the research center, an expansion to the public restroom facilities at the west elevator lobby enables a multitude of spatial improvements, each of which is designed to better accommodate the growing number of visitors to the National Archives Experience. 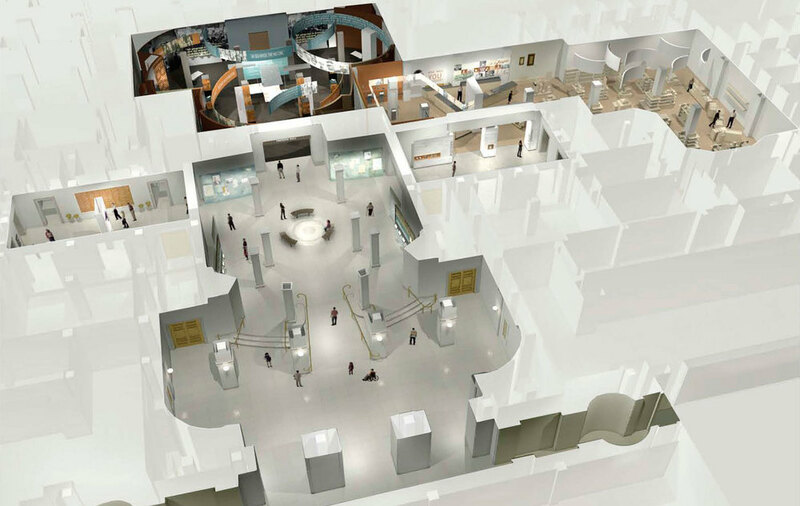 The hallmark of these improvements is a new Visitor Orientation Plaza which provides open visibility to all of the surrounding lobbies, stairs and elevators along with entrances to the Shop and two new exhibit galleries, Freedom Hall and My Archives.